A director overseeing a £30m budget, a leader organising aid to war-torn countries, and a young leader helping 15,000 drivers improve their road safety habits were the big winners at the Women in Logistics awards ceremony. The annual event is a celebration of ambitious women working in the industry and recognises their efforts in advancing the cause of equal and diverse workforces. The Leader of the Year award (sponsored by Tarmac) was won by Jane Phelan of Greenshields Cowie. Jane started out organising logistics for donor aid programmes into Africa, Asia and the Middle East. She now delivers vehicles and other essential aid items to war-torn countries. Jane recently celebrated 20 years with Greenshields Cowie, which has an almost 80% female workforce. Marie Forrester of Royal Mail was named Diversity Champion of the Year (sponsored by Forton Group). Marie has risen to become the first female Delivery Sector Manager and is accountable for a £30m budget. She has developed a maternity leave guide and achieved a 50:50 gender balance within her management team. Jen Yaxley of Amey won The Young Manager of the Year (sponsored by Kuehne+Nagel). Jen instigated Amey’s new programme for 15,000 individual drivers and produced a set of videos to get people engaged in road safety, as well as developing and running safety events for internal and external audiences. In addition, XPO Logistics scooped the Company of the Year award (sponsored by IMHX). The organisation is championing flexible working, which has led to an increase in the number of women within its workforce. XPO Logistics was also involved with promoting International Women’s Day, securing its place on the map as a champion of gender diversity. Four winners were selected from a shortlist of 17 by a panel of industry leaders, chaired by Richard Wilding OBE, Professor of Supply Chain Strategy at Cranfield School of Management. The celebration followed the Women in Logistics Conference earlier in the day, which focused on Competency and Talent Development. Guest speakers included supply chain leaders from Eddie Stobart, Hotel Chocolat and Westminster Business School as well as a keynote address by Wendy Manning, Vice President Customer Logistics at Coca-Cola European Partners. The awards and conference, now in their fifth year, were organised by Women in Logistics, an organisation established in 2008 to increase the number of women in the industry, improve life for those women already working in logistics and to address the gender imbalance issue. Women in Logistics founder Ruth Waring said: “The shortlist for this year’s awards was incredibly strong, and selecting just four winners was particularly difficult. All winners had extremely inspiring stories, from a career dedicated to helping others in developing nations to individuals flying the flag for women in logistics to an organisation which is especially vocal about its efforts to promote gender diversity. 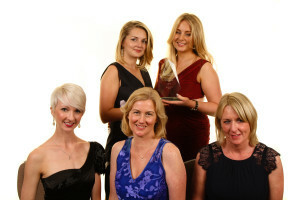 The awards and charity ball raise funds and awareness for Transaid, which is the chosen charity of Women in Logistics. Transaid tackles poverty and disadvantage by building transport skills and knowledge in the developing world.